A CPD article improved Toni McIntosh’s understanding of how mindfulness can be used to enhance compassionate care. 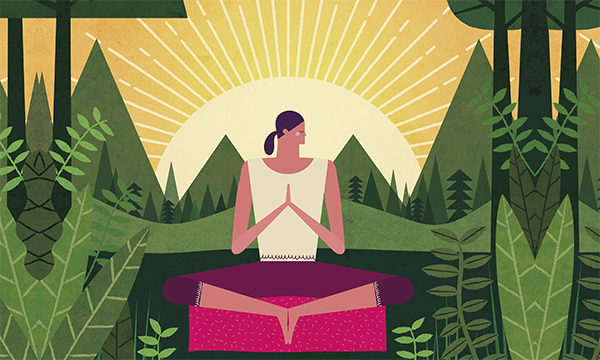 The CPD article discussed mindfulness and self-compassion, and how these concepts can improve nurses’ well-being and their ability to provide compassionate care. The article stated that the aim of mindfulness practice is to develop a non-judgemental awareness of the present moment. The article helped me to understand how mindfulness relates to self-compassion, and how this can enhance compassionate care. I remained anxious at times because I put pressure on myself to perform well. I realised that I had been giving all of my energy to my work, and prioritised the well-being of patients over my health and well-being. After reading the article, I realised that self-compassion is not a selfish act, and that without looking after yourself, you are not able to provide optimal care to others. Thus, by neglecting my mental health, I was also unable to give patients the best possible care that I could. I have learned that by promoting mindfulness for nurses, managers can improve the health of their staff, as well as enhance patient care. One issue I experienced in my practice was that after visiting a patient, I would continue to analyse my actions and worry that I had done something wrong. The cumulative effect of this was that I became emotionally exhausted and felt unable to cope. My manager suggested that I use a mantra, as discussed in the article. This is a phrase that I would repeat to myself after each patient visit, to enable me to feel confident that I did my best and to move on to the next patient with no residual anxiety. This enabled me to focus my attention and energy on each patient, improved my confidence and helped to challenge my self-doubt. I have learned that effective mantras are short, powerful and individual to the person. Another change I made after reading the article was to try to ‘live in the moment’. I realised I was constantly ruminating about the past and worrying about the future, which meant I was not fully present in each moment. After incorporating mindfulness into my practice, I feel more relaxed and confident, and I have more emotional energy to give to patients. The Code states that nurses must treat people with kindness and compassion, as part of the theme of prioritising people. The article discussed how mindfulness practice can enhance the compassionate care that nurses provide to patients. Mindfulness activities can support nurses to practise effectively and preserve safety by focusing on the task in hand, rather than worrying about the past or future. As part of the theme of promoting professionalism and trust, The Code states that nurses must maintain the level of health necessary to carry out their professional role. The article emphasised the importance of having self-compassion and looking after your health and well-being.